Check out the Scrapbook Pages for photos & info on past meetings. Members! Send bead photos and your info for the Member Gallery Page!! Remember to put our upcoming meeting dates in your personal CALENDAR! MEMBERS! ANNUAL DUES ARE DUE ON MAY 1! CLICK HERE TO PAY NOW!! Beads of Courage is in DESPERATE NEED of our beads! Please go through your stash and bring as many as possible to the next meeting. If you can't attend, please give beads to a member who can pass them along at an upcoming meeting! See Announcements for additional BOC information. Photography by Lynn Short. Layout by Jennifer Fisher. The ISGB Journey Book is Inspiring!! Journey is a glimpse into the evolution of ISGB members who are sharing their personal growth in beadmaking while supporting our organization. 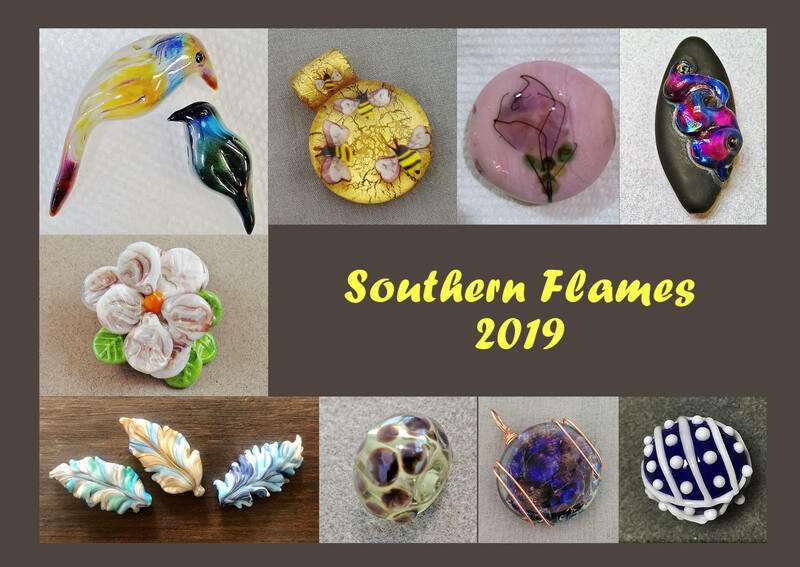 This fundraising effort, open to newcomers, well-known lampworkers, or like many of us, somewhere in between, was open to all members. Some chose to show just their current work while others included a visual timeline from their early days working with glass to now. See the cover and the Southern Flames' pages HERE, and order your copy at: http://isgb.org/isgb-publication/177-journey.html.